Working in a big city like Singapore offers you no time to carry out household jobs. Most professionals worked their way through the day and exhausted upon homecoming. Who wouldn't feel tired and worn out? Would you take a time to pick a broom after a day's meeting with the management with issues in your department? Relief comes to those who can spend an amount in exchange for services rendered by "part time maids" or sometimes known as "part time cleaners." Part time maid service Singapore is modernly defined as an external service with precise delivery of services to an individual, business, a club, and a home. Part time maids can be either a male or a female, but normally females are inclined to such services. As history recalls, part time maids or maids, in general, have been in the scene especially in the wealthy families or societies. They were prepared with the rules of service and propriety in dealing with the guests. They largely focus on household tasks such as in cleaning, washing, cooking, grocery shopping and tending to the children to name a few. They had uniforms to create differentiation and recognition from the public eye - more like social stigmatizing. Current society doesn't necessarily and usually reveal the distinction anymore, but the job description is still unwavering. Although, part time maids are now flexible with time as they can present their schedule as most of them have other job or career to carry on. There are various ways to find and hire part time maids in the city Singapore. An agent is someone you can see as a representative of a part time maid who can negotiate your petition. A charge may be possible but it wouldn't hurt much, and it is the only one-time deal! You can meet up with the agent with the part time maid and discuss your terms and conditions, as well as she/he can settle his/her terms and availability. Another way is to look for an agency, as mostly and ideally done. Although, you may save up since the process will take a while and a fee is there. This is somehow better since you can be assured that the part time maids are prescreened and that you underwent a more legal way of engaging services. Recently, I tackled on the internet the prevalence of "online hiring." I found one site that features this technology that is parttimemaid.com, although I haven't tested it yet I heard some good feedback. But there are a lot of other websites that offer the same services. Though, part time maids offer manual services do not forget that they are also individuals who lead lives outside of their job description. They share the same rights as you enjoy. Whether it doesn't squeeze into your budget or else you do not have the office size to require a permanent member of staff to cope with work cleaning; there is no shortage of reasons why it's not possible to use someone full-time. However, when considering how presentable your office would be to prospects, or how comfortable your employees feel much more work, looking after work maintenance is a very important task. It is not just the appearance of cleanliness that an office manager needs to be concerned about, however the potential effect on health and safety that could be a consequence of an unkempt work place. 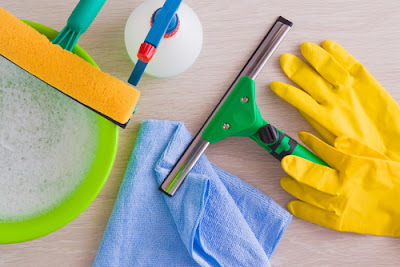 It is well known that employees won't go ahead and take the same degree of care about cleanliness when compared with they are doing at their home. Also, every person has another level of whatever they think about a suitable degree of cleanliness. It is therefore essential that any business, no matter how large or small, does the hiring of workplace cleaning professionals. 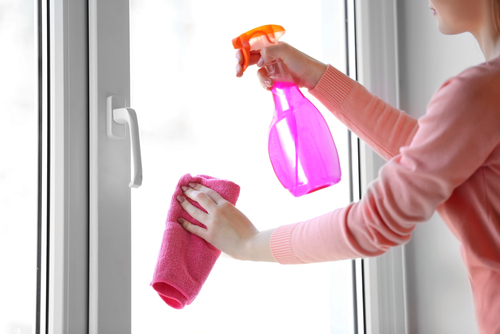 However, there are many key elements that you ought to consider before taking part in any office cleaning service. First, many of these services Singapore will need a signed contract. You, therefore, wish to make sure that you are experiencing the very best service at the best price. 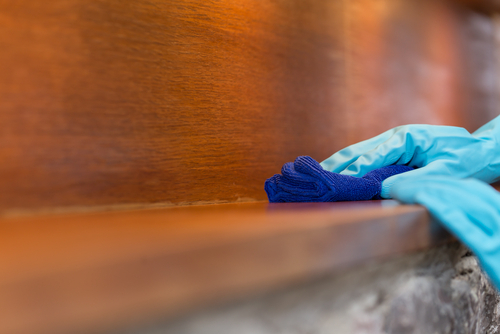 Make an effort to have a month long trial before committing to costly workplace cleaning contracts. Using this method you can ensure you will get the very best service for the money you're paying. Another consideration is whether or not the workplace maintenance service has security places under control. Some security monitored buildings might have such regulations in place to guarantee safety and safety of their tenants. If you're a part of a tenancy agreement, they might previously approve office cleaning services they recommend, assisting you to save your time and effort of conducting the search yourself. In Singapore, there are only a few households that can afford live in domestic helpers and maids. Instead of this affordability issue, a part time maid service who does the periodic cleaning for a much cheaper fee is a great alternative. My part-time maid is a great help when it comes to cleaning and tidying up the house, which, for me is the most troublesome chore of all. I do not have a child, yet I barely have time to clean the house. I can not imagine what it is like for those with more than two kids! Three hours is enough for my part-time maid to pick up scattered laundry, straighten up the living room pillows and chairs, scrub the floors, wipe the windows clean, scrub the toilets and the bathroom as well. It even leaves her enough time to wash my clothes and iron my clothes. Such convenience comes from my part-time maid. In a week, I only spend around $60 for her services. $60 for quality time and a stress-free weekend is fine with me.